When selecting the theme this year, I tossed a few ideas out to my trusted friends and Camping, Camping, Camping came back as the #1 theme! Who knew so many of you love camping! Each of us immediately generates an image in our mind of what ‘Camping’ is to them. It could be a simple tent in the woods, or it might be a luxury motorhome parked at a beach. Your version of camping might be entirely different from mine. You might have childhood memories of camping (maybe a disaster or two? I’ll tell you about mine... you want to share yours?). You might have graduated from pup tents in your 20s to a cabin in the Adirondacks now where your whole family gathers. 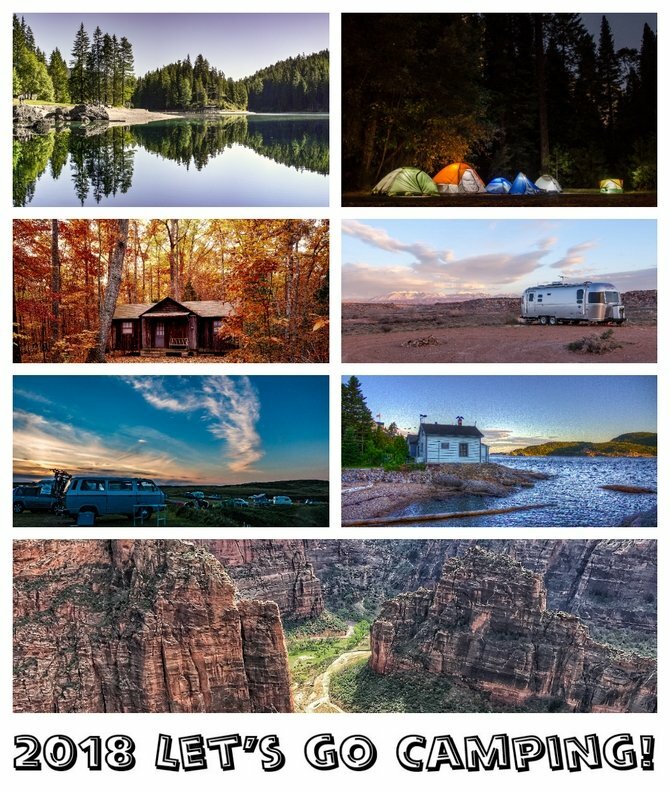 Maybe you are a full time RVer, or hike the National Parks and camp. I designed my mystery so that for each block you can bring your own personal story to your project. The topic each month is broad but focused. Block #1 is a perfect example to start us off. Here is an overview of how each month works. • We run for 10 months, January to October with 9 blocks + one month for our Setting pattern. 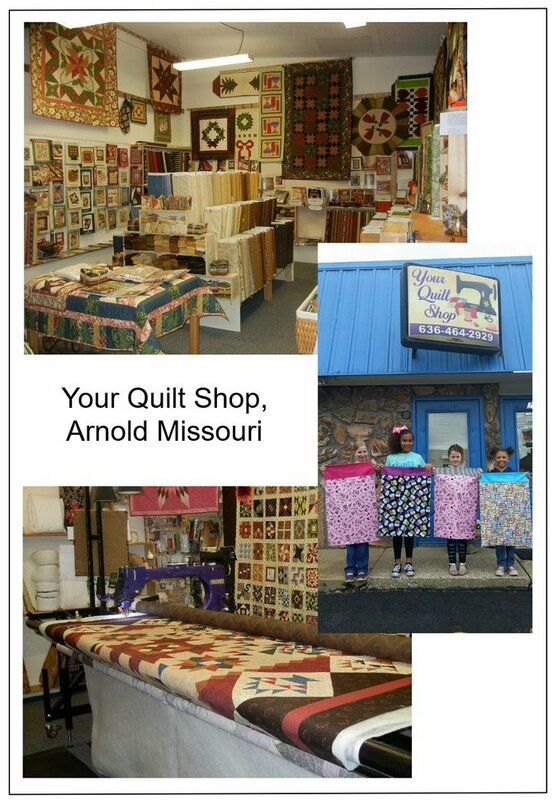 • Each month, we will feature two quilt shops, which gives you an opportunity to find new places! • I always give the setting pattern way before the end so you can start sewing your project together. • The setting this year is for 12” blocks ‘On Point’. • The last page of the pattern each month gives you a basic photo of the layout and I’ll show the block inserted. It does NOT have all the details that will show up, because this is a mystery! But I want you to know the block is on point so that you can cut your directional fabric to face the way you want it to. 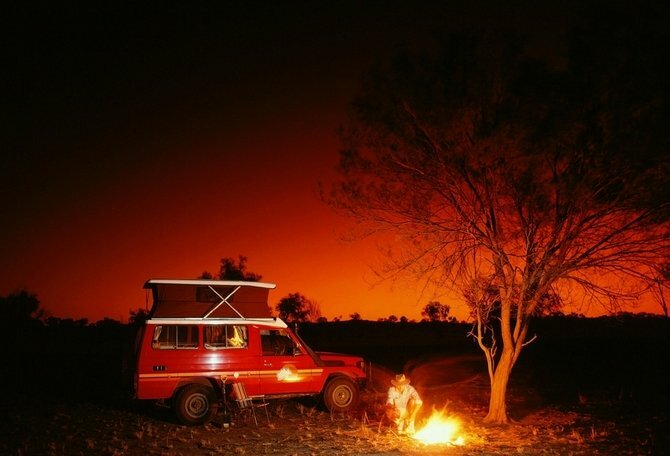 • Each month I celebrate an aspect of Camping. The block does not ‘look like that’ theme. So it is not pictorial in any way. • In November we’ll once again, have a show-and-tell of finished quilts, and I will host a fun giveaway! To kick off our mystery, Block #1 is ‘Places We Camp’. When I first announced the theme, your excitement was electric! Everyone was talking about their camping experiences and the places where they camp. I think it’s fitting to celebrate the ‘Places We Camp’ first. Because when we plan to go camping we need a destination. My first camping experience was Girl Scouts. Our location was a large clearing in the forest just outside Wiesbaden Germany, which is where I lived. Monday through Thursday was summer day camp. The Boy Scouts were doing their thing in one section and the Girl Scouts in the other. On Thursday night we got to ‘sleepover’ and that was my first experience sleeping in a tent (besides tents made with a sheet over two chairs in the basement). This experience has given me a lot of awesome memories you’ll be hearing about this year. I repeated that week at summer camp for three years in a row until my family moved to another country. Over the years I’ve also camped at other Scout camps, at lakes, at the beach, and even the infield at the Nascar races (yes… now there is a story!). My block this month is my variation of a ‘Lady of the Lake’. Bottom half is the water, top half is sky and land filled with adventures to come! Be sure to visit my website (see the link below) for a tutorial on how I cut the directional fabric for this on-point block. • Lakes, Lakes and more Lakes! • The forests are perfect for hiking and camping. • Our wonderful National Parks system has camp grounds for tents & RVs plus cabins and lodges (yeah!). • How about the beach? I might be enticed to park a little retro camper at the beach. • As we travel the country, my husband and I see campgrounds everywhere. They come in every size, tucked into nooks or covering great expanses. • And let’s not forget on a gorgeous summer night, popping a tent in our own backyards to sleep out under the stars! Where is YOUR favorite place to camp? Tell me and leave a link in the comments! A few links to help you start discovering new camping sites. We are fortunate to have a group of friends that seem to enjoy creating with a bit of a pack mentality. We are all passionate about either glass or fabric, to varying degrees, as well as a few other artistic endeavors. 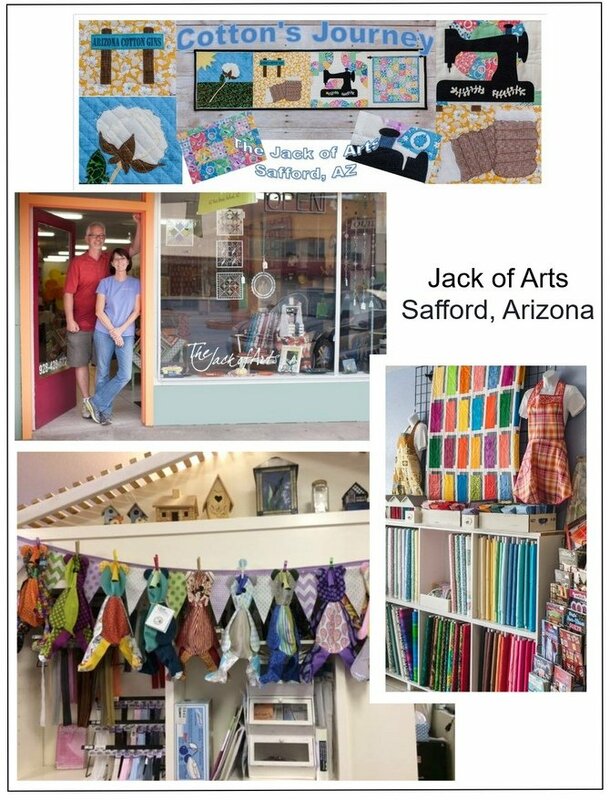 Hence the name, "The Jack of Arts". Not to say we are "masters of none" because some of us have mastered quite a few artsy things. Jack is a collective of artistic souls who have promised to continue to grace us with their offerings. We have award winners in many categories: quilting, torchwork beadmaking, fusing, sandblasting, glass painting. Jack's artists do what they do because it's their bliss, quite simply put. Some of us make quilts to warm beds and some make quilts for walls that make you smile. Some spend hours over a flame just to create one perfect glass bead. And still others devote days and multiple kiln firings to create a fused vessel that can serve as a beautiful dish or become a focal point when displayed in a room. Then there are those of us who get the greatest joy restoring, repurposing or remaking something that may otherwise end up in the trash (sometimes that's where we find them). Quilts from bits and pieces, fused plates from scrap glass, usable furniture from cast-off parts and rugs from selvage ends of fabric - just a few that come to mind. I must say at this point that absolutely none of this would have actually come together if my husband, Roger, wasn't such a Jack of ALL Trades. He made the 1980's kitchen cabinets come together for an amazing front counter with a fabulous mosaic top, notions wall/desk and (my personal favorite) a 12 foot cutting table that all quilters would (and do) envy. He is an electrician, plumber, drywall dude and unfailingly artistic in all his endeavors. We are housed in the historic Cooper Building (1900) on Main Street in Safford. This building has been home to pharmacies, diners, boutiques and now us. We want you to feel the great karma when you walk through the door. All the things we do -- we want to share with you. If you don't see it on our Class Calender; ask us and we will try our darnest to help you learn it. Or just come support the artistic endeavors of our artisans; you can buy a bit of their bliss. You never know WHAT you'll find at Jack's. Are you ready to sew with me this year? Leave me a comment below telling me if you love camping! Where is your favorite place to camp? What is a great camping memory you have?